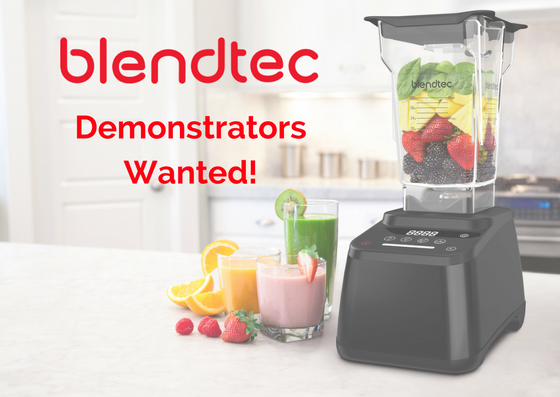 We are looking for confident, outgoing and highly motivated demonstrators to sell the world renowned “Will It Blend ” Blender by Blendtec at consumer shows and retail stores. Full training provided, travel and accommodation paid, daily rate plus commission huge earning potential for the right candidates. The role is fun, vibrant and exciting. You will get to travel across the UK and Ireland. There is room for you to grow within the company, so you are in control of your earning potential.